Made of Polartec® Power Dry® High Efficiency™ grid fleece, this trim-fit jacket is non-bulky, lightweight and incredibly breathable. 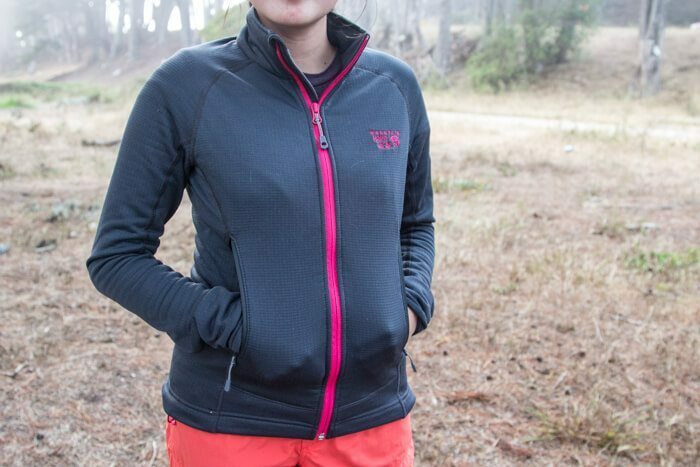 It functions well as an outer layer or as a mid-layer underneath a technical shell without looking bulky. External elastic on the wrist cuffs ensure that your warmth is sealed in, and it makes it easy to roll your sleeves up. Two zippered hand pockets are harness and pack compatible so you can still reach your candy while you adventure. Contrary to what the description on the Mountain Hardwear website says, this does not have thumb loops, though I really wish it did! I wear this while hiking, biking, climbing and commuting and it functions flawlessly from one activity to the other. It doesn’t look too technical to wear to work, either. It is synthetic though, so don’t expect it to smell like roses after a few days of sweating profusely in it. I found that this doesn’t block wind very well, especially for biking along the San Francisco waterfront. However, this is easily remedied by tossing on a lightweight shell, like the Mountain Hardwear Stretch Ozonic Jacket. 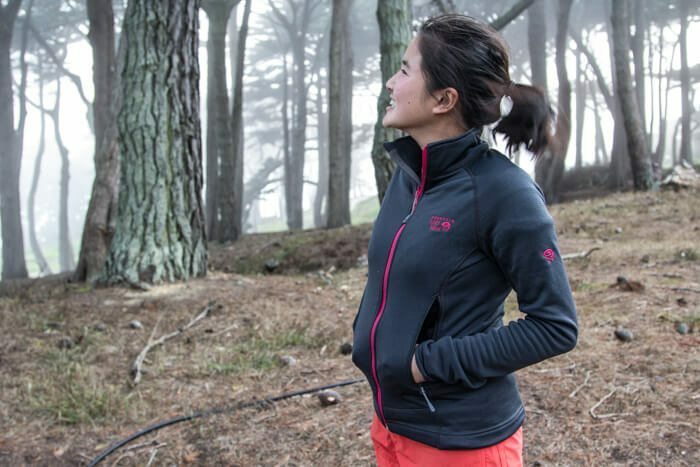 If you’re looking for a lightweight, synthetic fleece mid-layer, this is a solid bet. 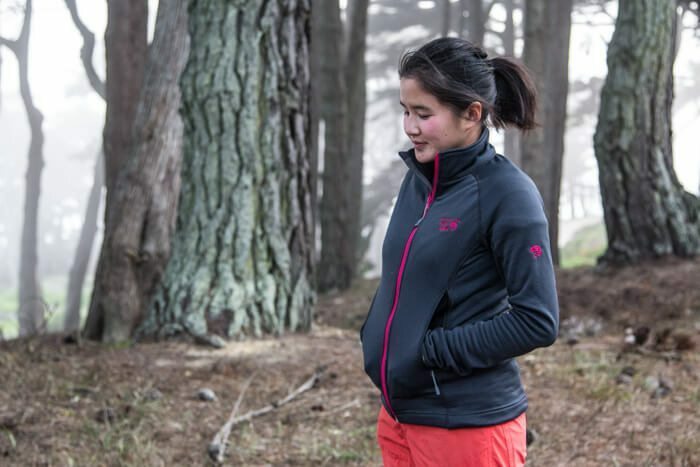 Buy the Mountain Hardwear Desna Grid Jacket through REI, Moosejaw, or Amazon for $150.